Stoneburner, the second posthumous novel from William Gay, is now out and is available through Amazon.com. The book is published by the William Gay Archive, under the imprint Anomolaic Press. I am credited with the jacket and book design, as well as editing and proofing the manuscript. 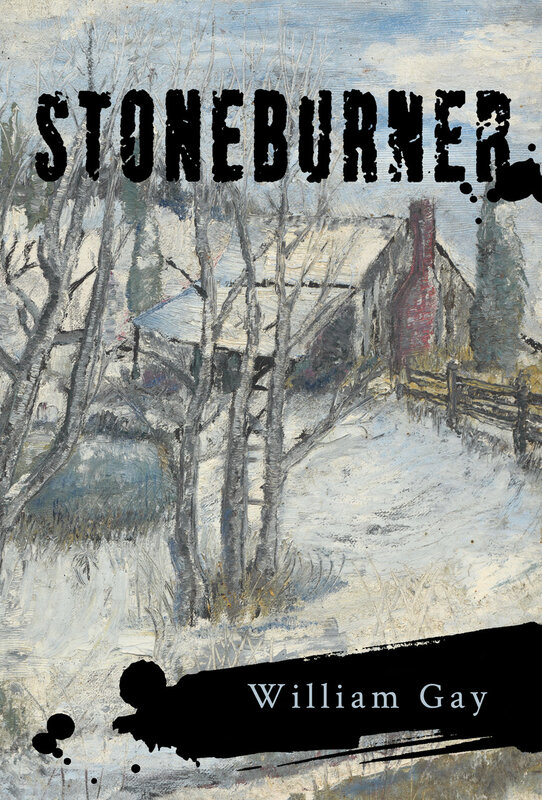 "Stoneburner is a hardboiled detective story written as only William Gay could do it. The story is set in the mid 1970s and includes a jaded private eye named Stoneburner, a redneck Vietnam vet named Thibodeaux, a beautiful young blonde named Cathy Meecham and an ex-Sheriff named Cap Holder loosely based on Buford Pusser. Stoneburner is the private eye who has abandoned his office in Memphis to live on the banks of the Tennessee River where he is building a cabin. The story follows him as he meets a local retired sheriff who made a fortune when Hollywood produced a movie based on his exploits cleaning up the drug dealers in his rural county. However, now the Sheriff, Cap Holder, has run through the money on ill conceived business plans, fancy cars, big boats and expensive young girlfriends. He comes to Stoneburner when his plans to recoup his losses on a coke deal goes wrong and the young girlfriend turns up missing, both at the same time. Cap wants Stoneburner to find both the money and the girl. The redneck named Thibodeaux just happened to be in the right place at the wrong time and was able to make off with a briefcase full of drug money and the young blonde. Thibodeaux and the girl are on the run, moving across Tennessee, Mississippi and Arkansas, leaving a trail a mile wide with Stoneburner not far behind. Thibodeaux and the girl buy a Cadillac purportedly owned by Elvis which eventually ends up in the top of a tree in the Ozarks. Stoneburner quickly figures out that he is not the only person that wants to find Thibodeaux. The drug lord, a local Nashville music producer, who was supplying the cocaine is on the trail as well. The book follows two tracks, starting with Thibodeaux who is living in rural Tennessee and getting by as best he can. He is a town drunk constantly in trouble with the law, leaving behind a string of wrecked cars and trucks. However, his luck changes one night when he figures out someone is using an abandoned airstrip to fly in drugs and cases it out until one night a plane lands and he is able to make off with a briefcase full of cash. Once he has the money he is able to pick up the blonde, who was double-crossing both Cap Holder and the drug dealers, and away they go." The manuscript was edited by J.M. White, Lamont Ingalls, Paul Nitsche, Sheila Kennedy, and Susan McDonald. Jacket cover painting by William Gay. Jacket design by Paul Nitsche. Book design by Earl Madden and Paul Nitsche.